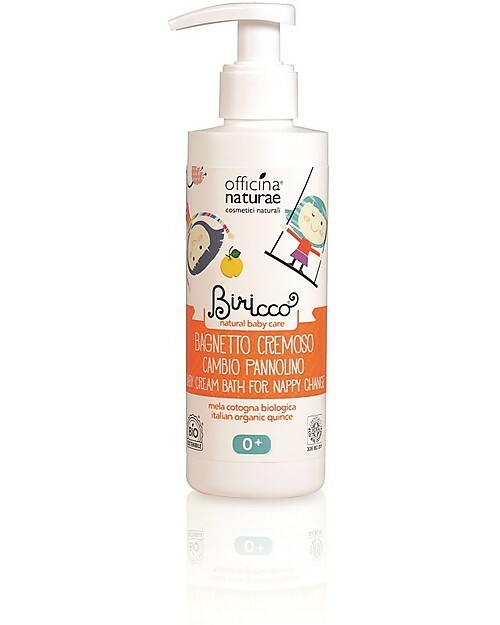 Gentle and calming, the Organic Quince Baby Cream Bath by Italian brand Officina Naturae is the ideal cleaning product for your baby's sensitive skin. 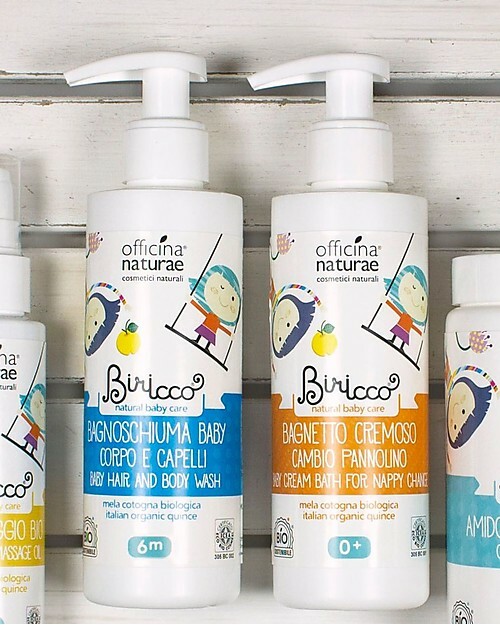 Made with natural ingredients from organic farming and 100% free from harmful chemical substances, gently cleans your little one's body and hair during his/her first months and leaves the skin soft and protected. Enriched with organic quince and oat, it has a delicate formula that does not irritate skin and eyes; for extra care no artificial perfume has been added. Its delicate formula makes it suitable for frequent use. A quality eco bio cosmetic product that takes care of your baby's skin whilst respecting the environment. Biricco is a series of cosmetics products by Officina Naturaes specifically for babies and kids, delicate and gentle on their sensitive skin. 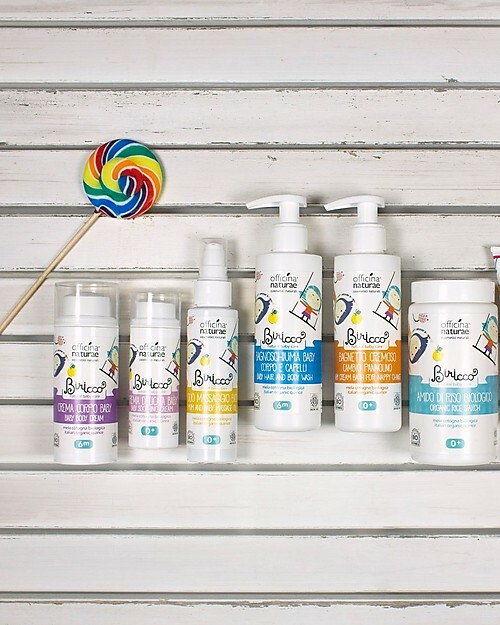 All Biricco products are ICEA certified as eco bio cosmetics. How to use: apply a small quantity of product to your hand and gently massage baby's body and hair. Rinse well. Ph 5,5. Respect the pshysiology of baby's skin.